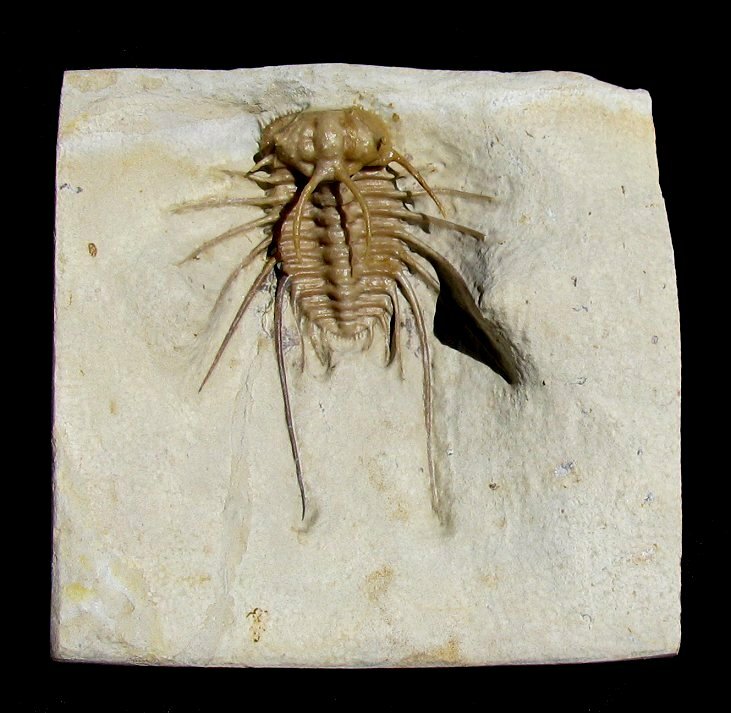 This is a wonderful example of a RARE spiny trilobite. It is an excellent Ceratonurus sp. from Oklahoma. This specimen was found by, and acquired from, the famous Eugene Thomas Collection. 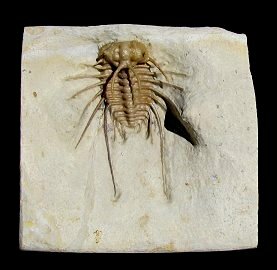 This type is probably the most sought-after and elusive trilobite from Oklahoma. This delicate fossil is beautifully outstretched on a sculpted matrix block. Both ''horns'', stalked eyes, and genal spines have been prepared free-standing, with the left genal spine being pathological, terminated short, possibly from predation. The body spines are very long and symmetrical, and even the tiny comb-like tail is intact. Ceratonurus is one of the hardest Oklahoma trilobites to find and prepare - the detail on this specimen is fabulous. This Ceratonurus sp. is so nice, Eugene kept it in his personal collection.